I have always been a fan of Lassig bags, ever since I started using my Lassig Diaper backpack, which I still use, even though technically I don’t need a “diaper bag“. 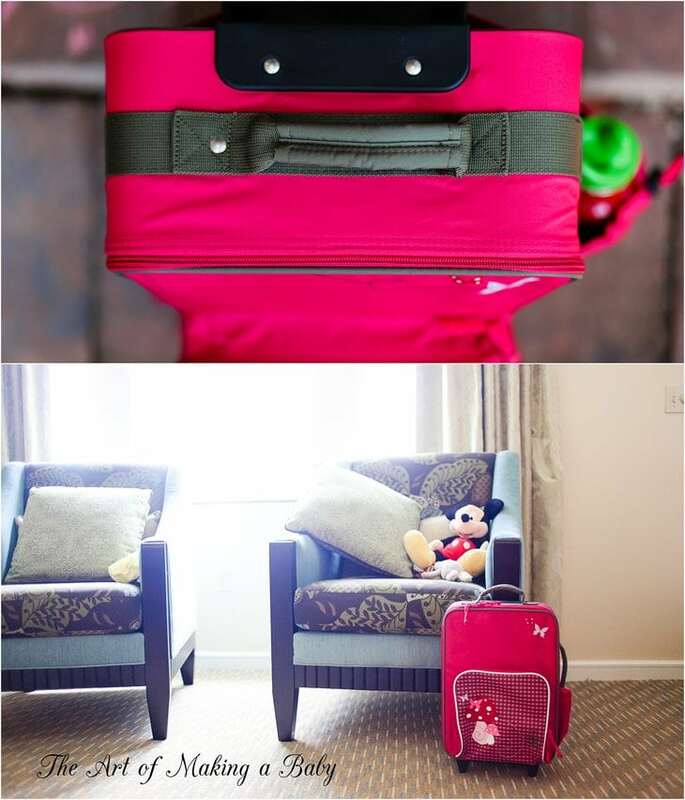 One day when I was going over their website to see what else they have that could be a good find like my backpack, I stumbled upon their kid’s line and was quite impressed. Aside from pretty much covering every need with every type of bag, their colors were so much fun. Not too cartoon-ish, but not too adult. Just the right mix of “kid and subtlety” . Their new line has a lot of cute animals, too, and is more bright and child-oriented, if you like that. Before I show you the styles, I’d like to go over why Lassig is one of my favorite bag companies. It can be summed up in this phrase: “We languidly do without PVC, nickel, azo dyes, cadmium and phthalates. And we partly even nonchalantly resort to recycled materials and organic cotton in our manufacturing process” and then finished off with the fact that they make the most versitle and unique styles I’ve seen while covering a wide array of ages, from toddlers to teens to stay at home moms to working moms. I’ve pretty much dumped all my other bags for every day use and have been using this backpack exclusively. That doesn’t mean that my other diaper bags are bad. I love them equally, but I can never justify NOT taking a backpack with me, because it’s just SO convenient. Besides giving me my two hands back when dealing with Alexis, it helps my posture, which has been sucking a lot since Lexi has been born. This is the cutest thing ever. Keeping her little toys, crayons, notepads and hair ties in this bag for when we travel and then having her carry it like a big girl is so cute. Aside from being a convenient organizer for travel, it also makes her feel like she is contributing to carrying the bags. Once she is a bit older and goes to preschool, this will be a perfect bag to carry her things in. 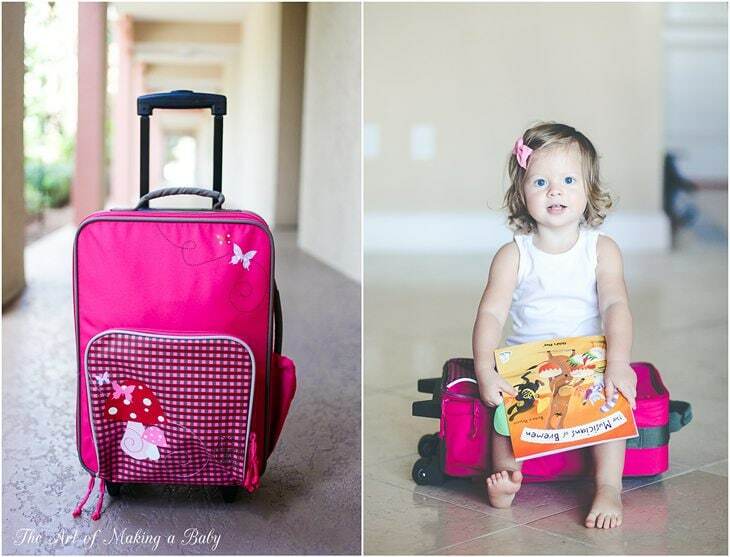 If you have a 2 year old, you know they are obsessed with carry on luggage. But those small suitcases are still to big for them to haul them, so this trolley is perfect. 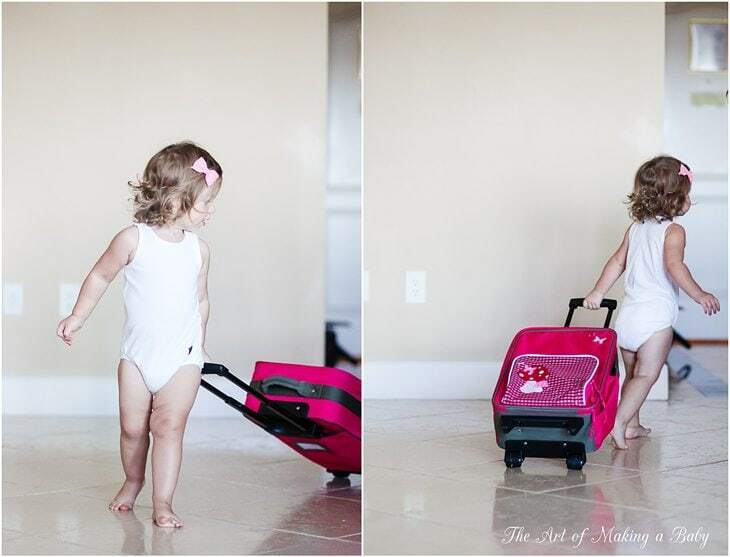 Just the right size for a 2 year old to wheel around but big enough to actually put all their travel things in (and if you’re like me, you overpack for your kid more than yourself), it is an awesome travel accessory. Again toxin free like every other Lassig product. This is a review of Lassig kid’s line of bags. These samples have been sent to me to use in our travels and report back on. Those bags are so cute! 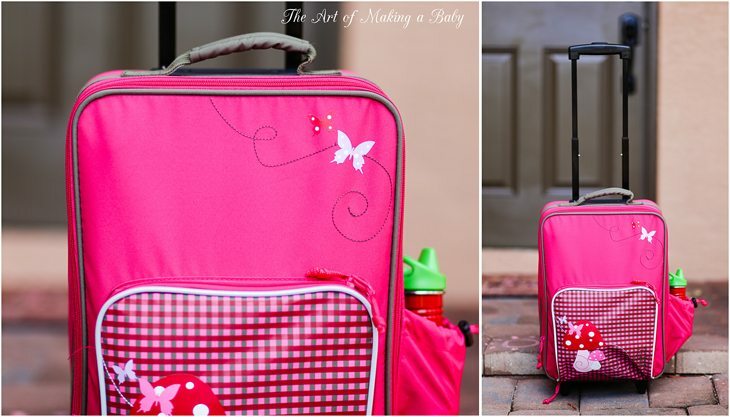 I haven’t traveled on a plane with my son since he was 5 months, so I don’t know the rolling suitcase obsession, lol! Lexi’s “off to ko-kool!” is so cute! Do you have it on video? i feel like i should have gotten the cute things my 28 month old son used to say on video before he started saying things “right.” He used to say “go kool!” before heading to daycare, after eating his “breftis.” i miss the cute toddler made up words! I don’t think I have it in video. My only hope is to remember this all through blog posts. That car organizer looks amazing!!! And her little bag is too cute! Do you know if the mini square bag’s strap is adjustable?! It seems like you guys have been traveling a ton lately and always to the same place. Is it for business or pleasure?!? It must be nice to get away! 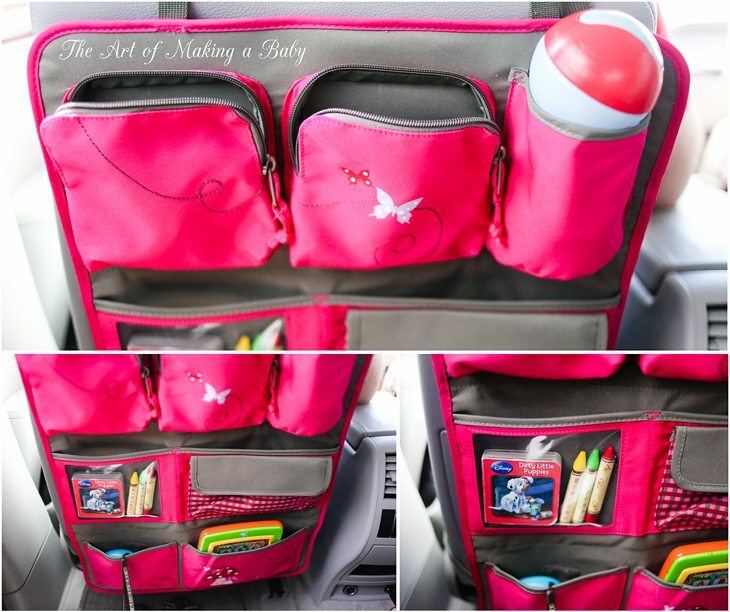 I adore the convenience of the car organizer. The mini bag strap is adjustable. We travel to Orlando twice a month for a few days for work. I don’t get to enjoy it but Andrew and Lexi get to have some fun when I’m out. Far worse places to have a toddler than Orlando!! Jealous!! What is it that you do that takes you there so often? Lucky for Andrew and Lexi!!! Ha you’re right. I said 5 products, but it’s really 4 🙂 Thanks! 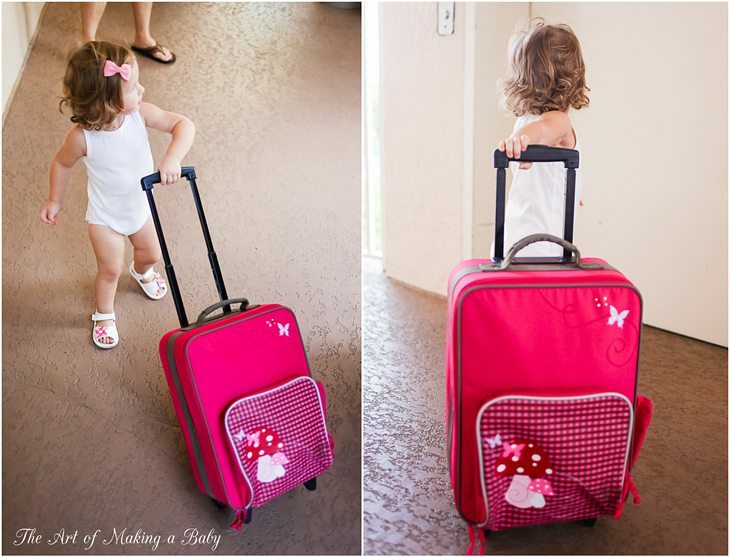 Oh my gosh, Lexi’s trolley bag is adorable! Love them all though. Do the smaller bags have good pockets inside for organization? It does have on inner pocket and one outer zipper pocket but the bag isn’t large enough to fit any more than that. 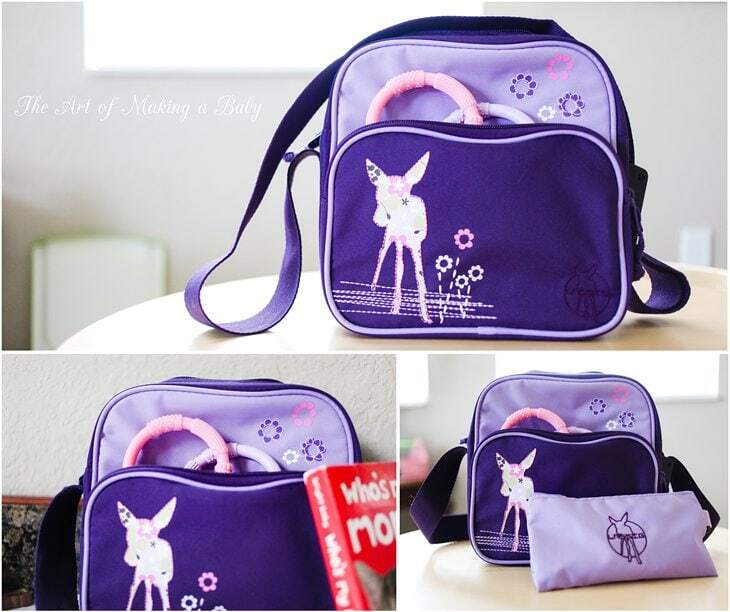 Looks good, good diaper bag when traveling long distance especially flight travel with kids. Since its a backpack, i don’t have to worry about the bag slipping down the shoulder when i have to pick up other luggage or any other things. Also the bag is very spacious. The car wrap looks like it has a clear pocket. Isn’t that pvc? I know they’re claiming pvc free as a line, so I’m confused. It’s made of polyester. I’m checking on the pvc.